It’s been a fantastic Summer for the Golden State Warriors, but everyone else in the NBA isn’t too thrilled. 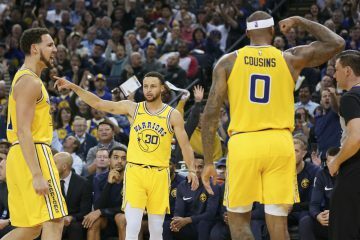 The Warriors are not a lock to win the entire thing, but it would be disappointing if they don’t bring back the Larry O’Brien trophy back to the Bay. 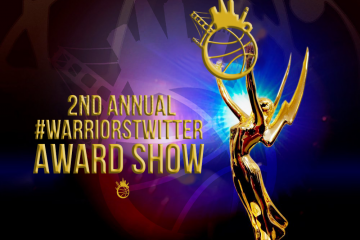 For now, we can only wait for the season to start while the Warriors attempt to complete the roster. 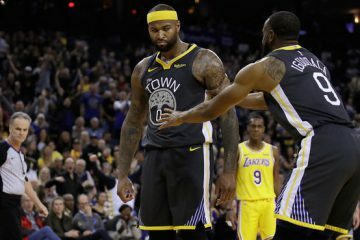 On top of not being able to re-sign Harrison Barnes and Festus Ezeli, the Warriors had to say goodbye to players like Leandro Barbosa and Marreese Speights, so this team will look very different than it has in the last two seasons. Besides Durant, the Warriors will have some fresh young talent joining the team as well. Damian Jones and Patrick McCaw are the Warriors’ draft picks who will have an opportunity to make an impact on this team. Jones has now been officially signed by the team, although the details of the deal have not been released. 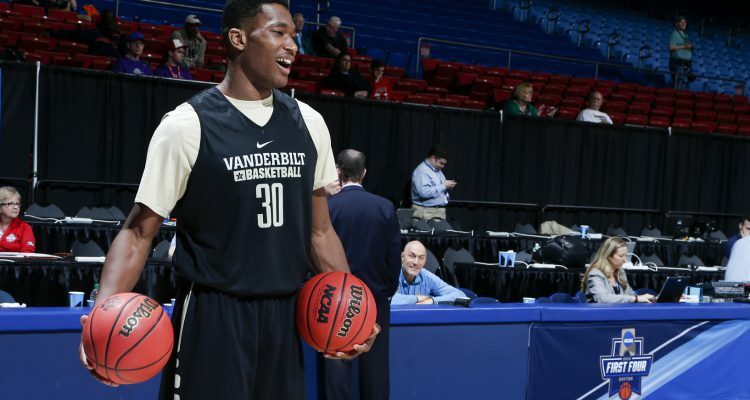 The Golden State Warriors have signed rookie center Damian Jones to a contract, the team announced today. Per team policy, terms of the agreement were not released. 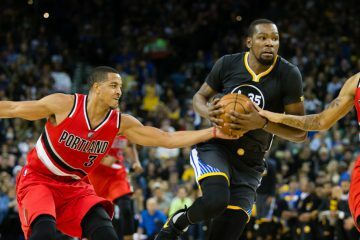 Jones, 21, was selected by the Warriors with the 30th overall pick in the first round of the 2016 NBA Draft on June 23. In three seasons at Vanderbilt University, the 6’10” center averaged 13.3 points, 6.4 rebounds, 1.69 blocks and 27.2 minutes in 99 games, garnering First Team All-SEC honors as both a sophomore and junior. Jones hit 56.6 percent from the field during his collegiate career, the third-best mark in Vanderbilt history, while finishing second on the school’s all-time blocks list (167). In his junior season in 2015-16, Jones averaged 13.9 points, 6.9 rebounds and 1.64 blocks in 33 games, helping the Commodores to their first NCAA Tournament berth since 2011-12. Jones is recovering from a torn pectoral muscle, but should be ready early on in the season. Jones showed promise during his time at Vanderbilt. The big man has great size, strength and speed, although he does need to work on his low post game. He should bring great energy off the bench and will be exposed to a championship culture that will surely help his individual game. Jones might not get much playing time early on, but he will eventually be given the opportunity. It will be interesting to see how he is able to make himself an asset on this team. Also keep an eye on McCaw, he has been lighting it up in the Las Vegas Summer League. McCaw can turn out to be one of the steals of the second round. Everyone is talking about Durant and that makes sense, but these rookies could be surprising some people next year.